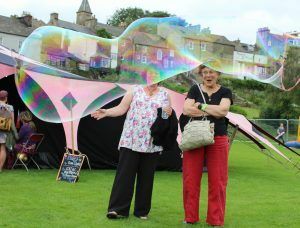 Cumbria Community Foundation is appealing for photographs to help celebrate its 20th-anniversary. The charity is publishing a book of photos and staging an exhibition to highlight its work over the last two decades and wants to hear suggestions for images to include in the project. The Foundation has already selected 19 images that cover everything from the floods and the Foot and Mouth crisis to small community projects it has funded and is launching this appeal to find the final, 20th photograph. Over the last 20 years, the Foundation has raised millions to help thousands of individuals and community groups and it hopes the public will come forward and suggest a picture to complete the book. 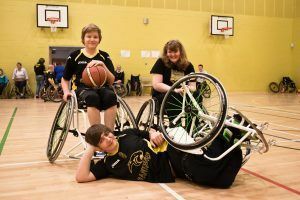 Photographs should either illustrate an aspect of work that has been helped by funding from the Foundation and could be anything from a sporting club in action to a landscape photograph, or an image that shows the community spirit of Cumbrians. A photograph will be selected from all the nominations to be included in a book to be published in April and an exhibition that will tour Cumbria as part of a year of special events called ‘Giving Back, Looking Forward’. Annalee Holliday, Grants and Donor Services Officer at the Foundation, said: “We’re hoping that individuals and organisations will help us celebrate our anniversary by coming forward with the best picture that illustrates their work. Anyone wishing to suggest a photograph to include in Cumbria Community Foundation’s book can do so by either emailing annalee@cumbriafoundation.org or via the Foundation’s social media channels (@cumbriacf on Twitter or www.facebook.com/cumbriafoundation), which are using the hashtag #thankyouCCF to appeal for photos. Photographs should be of a high resolution and should be submitted no later than 15th February.